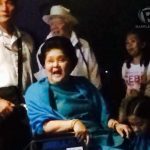 MANILA, Philippines – Controversial former First Lady Imelda Marcos attended Pope Francis’ Mass in Tacloban, a move foreign and local observers noted for its irony. The widow of dictator Ferdinand Marcos was spotted at the Tacloban airport in Leyte on Saturday morning, January 17, where Pope Francis celebrated Mass to console victims of Super Typhoon Yolanda (Haiyan). Marcos is a member of the influential Romualdez clan that has dominated Leyte politics for decades. “The message of the Holy Father is about the poor, and I love the poor,” Marcos told reporters. “If more people thought like him, the country will be more united and able to grow,” she was quoted as saying. 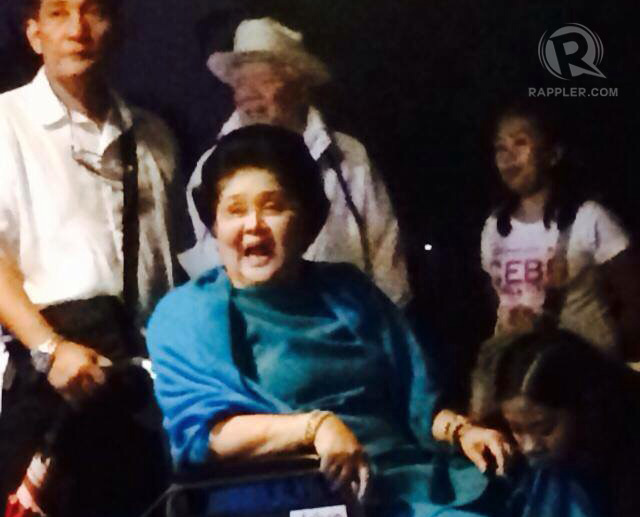 Members of the Romualdez family earlier said that Mrs Marcos planned to attend the pope’s Mass. Now a representative of Ilocos Norte, her husband’s home province, Marcos remains controversial over human rights abuses and corruption allegations during her husband’s regime under martial law. Mrs Marcos is infamous for her lavish lifestyle, amassing art, jewelry, clothes, and shoes in the two decades that her husband was president. Despite the abuses attributed to the Marcoses, they remain a powerful force in Philippine politics and occupy key posts in government. The most powerful storm to hit land, Yolanda devastated Leyte and the rest of Eastern Visayas on November 8, 2013, killing over 6,000 and leaving millions homeless and jobless. In spontaneous, moving words, Francis empathized with the pain of Yolanda survivors, who lost loved ones, homes, jobs and property to the monster typhoon.